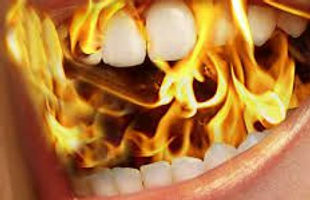 I have been active on a Facebook Closed Support Group page for Burning Mouth Syndrome sufferers. It is a positive experience most of the time, but occasionally things take a turn for the worse, and I see people posting suicidal thoughts and deep despair. I started thinking about what we should do with information like this on the Internet. How can we intervene constructively? In the parenting world, we are taught that when someone makes a suicidal statement, you take it seriously. If you are wise, you even prepare that emotional construct by telling your children or other family members that if they ever say something like that, you will take it seriously, and you will get them help. If a friend made that statement to me, I would make sure that they got to their doctor, and not tomorrow, but today. I did a bit of online research, and I did not find much that addresses this particular paradigm. There are plenty of sources of information, but they generally assume that you know the person and can observe them. Here are a couple of sites with very good information, but they do assume that you know the person in question. Psychology Today: What to do when you think someone is suicidal. Eventually, on a later page in my Google search, I came across this: Suicide: Read This First. Finally, a place that I can point people to online, that will take that conversation off my shoulders and begin it with them in a very non-confrontational way. I particularly like the way they accept pain as part of the issue right up front. UPDATE March 2015: Facebook has added an option that allows people to report suicidal posts. You can read about it HERE. Will I use the post alert and/or post the Suicide: Read This First site to the folks who make suicidal references in my support group? Yes, I will. Even if the feedback is negative, I think it will be worthwhile.